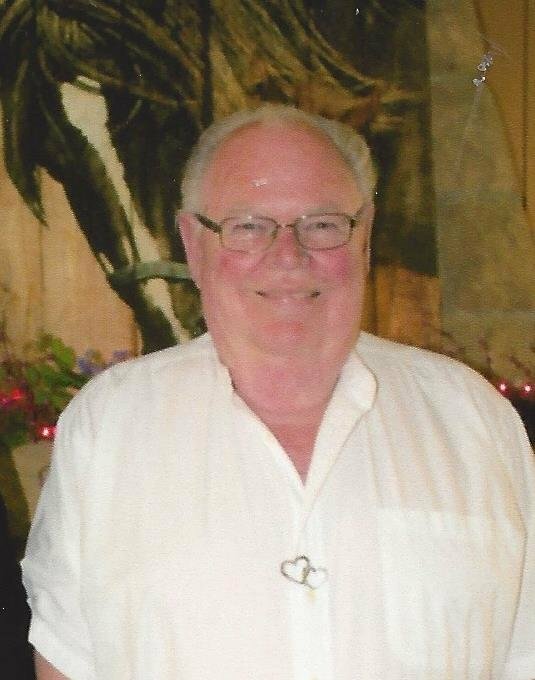 Harold W. George, of Barnesville, Ohio, died January 7, 2019 at Wheeling Hospital, surrounded by family and friends. Born in Antrim, Ohio, September 7, 1939, Harold was the son of the late Hollis George and Della Rankin George. In addition to his parents, he was preceded in death by six brothers and sisters. Wonderful memories will continue to live in the hearts of his family who survive; his one true love and wife of 56 years, Elaine Porter George; daughter, Anita (John) Warner of Barnesville; son, Dean (Dawn Ann) George of Barnesville; grandchildren, Bradley English, Michaela George, and Hunter George; brother, Delmar (Barb) George of Cambridge; and brother-in-law, Bob Deselms of Naples, Florida. Harold loved sports and was a basketball official for 20 years with the OVAC and Cambridge district. He stayed true to the Cleveland Browns and Indian Tribe. Harold was retired from the CVS Pharmacy in St. Clairsville, Ohio. He attended East Richland Friends Church. Family and friends are invited for visitation, Saturday, January 12, 2019 from 11 am, until the time of the Memorial Service, beginning at 1 pm, Patron Funeral Homes & Crematory Kelly Kemp Braido, 702 E. Main Street, Barnesville, Ohio. Pastor Jerry Wenger officiating. Honoring Harold's wish, interment will be private and at the convenience of his family. Memorial Contributions may be made in Harold's memory to: The Scholarship Fund, East Richland Christian School, 67885 Friends Church Road, St. Clairsville, Ohio 43950. As he is no longer with us in the physical world, he has transitioned to a place where pain is no more. Family and friends are invited for visitation, Saturday, January 12, 2019 from 11 am, until 1 pm, Patron Funeral Homes & Crematory Kelly Kemp Braido, 702 E. Main Street, Barnesville, Ohio. The Memorial Service for Harold will begin at 1 pm on Saturday, Patron Funeral Homes & Crematory Kelly Kemp Braido, 702 E. Main Street, Barnesville, Ohio. Pastor Jerry Wenger officiating. Honoring Harold's wish, interment will be private and at the convenience of his family.